Are you looking for beautiful condos for sale? 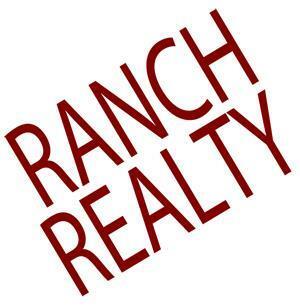 Then, we at Ranch Realty, can help. We are a family owned, full-service real estate and property management company that offers residential real estate property sales, leasing, and management services in areas including 85258, 85260, Gainey Ranch, McCormick Ranch, Phoenix, and Scottsdale. We are known for our straightforward approach and highly reasonable fee structure, monthly audits on owner trust accounts, direct deposit for the owners and online payment facilities, rent disbursements to owners on time, collection and retention of security deposits by the tenants, and remarkable marketing ideas to fill the vacancies. We specialize in offering superior quality property management services owing to our more than 40 years of experience in managing condominiums, townhouses, and single-family homes. We can promise you internet and print marketing of credit or background verifications, vacancies, tenant screening, and an elaborate process of inspection, maintenance, and repair. So, if you want to discuss your individual needs with our professionals and agents, you can resort to us without any hesitation. Here, we have put together a few tips that will help you pick the right condos. Take a look. First of all, choose the right location. Make sure it is convenient for you to go to work and the departmental stores or medical facilities are also close by. After all, you are purchasing a condo to live comfortably and maintain a convenient lifestyle. Whenever you take interest in the condo, first inspect the neighborhood around. Check the sort of building developing around you to ensure if you will face a blocked view. Check the security of the area and along with that also, keep an eye on the facilities or provisions already existing or beginning nearby which will influence the future value of the property. Now pay attention to the layout of the condo. Think about your requirements and what kind of a condo you want. The designs of condos vary from one to another. You should choose one that maximizes the space-efficiency and also appeals to your aesthetic senses. So, what are you thinking? If you feel that we can help you get the right condos according to your needs and budget, then you can call us at 877-473-9077 now.